Some conspiracy theories never die. Despite proven facts to the contrary, certain people choose to believe that something sinister must be behind the world’s most tragic events. On this list are examples of lasting conspiracy theories about infamous tragedies in history and modern times. The story of the Titanic needs no introduction. The famous ship sank 105 years ago, and since then, movies, songs, and plays have continued to keep the tragedy alive. 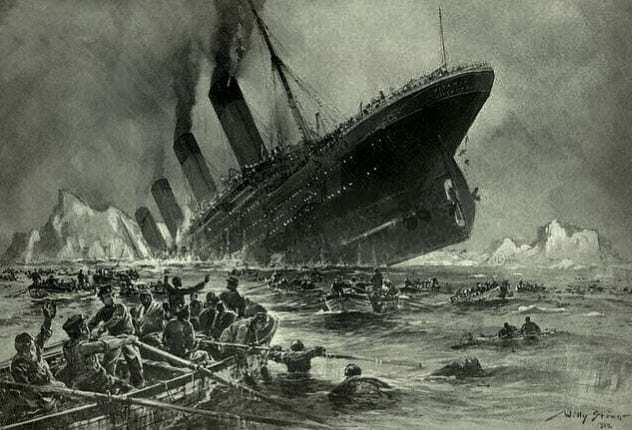 Conspiracy theories about the sinking are also thriving, including a persistent one that states the Titanic never actually sank. Therefore, the theory goes, the Titanic and the Olympic were swapped, leading to the Olympic sinking in a “staged” accident. Meanwhile, the Titanic carried on under the name Olympic. Author Robin Gardiner explored this theory in his 1998 book, Titanic: The Ship That Never Sank? He wrote that the Olympic was photographed as having 16 portholes and the Titanic as having 14. However, when the Titanic sailed on its maiden voyage, it also had 16 portholes. Gardiner also wrote that there were rumors among laborers of the insurance scam, leading them to refuse job offers aboard the Titanic. Further “evidence” of the conspiracy is presented in the form of several high-profile passengers canceling their trips on the Titanic mere days before the voyage. Those lucky passengers included J.P. Morgan himself. 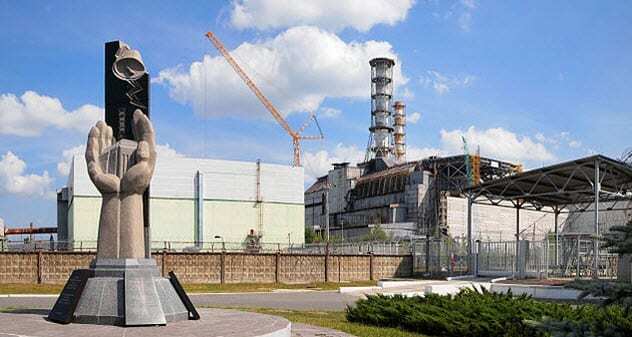 In April 1986, a safety test at the Chernobyl Nuclear Power Plant went disastrously wrong. It led to a massive steam explosion and open-air graphite “fire” that spread quickly throughout the machine shop and headed for the third generating unit. The capacity of the generating unit was slowly decreased. Eventually, the emergency cooling system was shut down to try to stop the reactor. However, an energy control officer did not allow the fourth generator to be stopped. So it was completely destroyed by the extremely hot steam. It was fortunate that the fourth generator did not explode as it contained around 180 tons of enriched uranium. Had it exploded, it would have blasted away half of Europe. Two years after the disaster, a conspiracy theory started making the rounds about what may have prevented the fourth generator from exploding. People came forward to say that they had seen a UFO hovering over the unit for at least six hours. During that time, it managed to reduce the radiation level four times. These eyewitnesses believe that the UFO was the only reason the generator was destroyed by a thermal blast instead of an explosion. It seems that even natural disasters can’t just be that: natural. 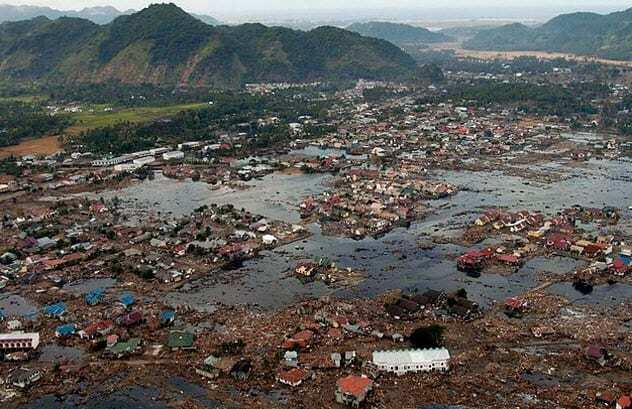 Not long after the devastating Indian Ocean tsunami in 2004, rumors began making the rounds that nature wasn’t to blame for the disaster. Settled deep in the heart of the Muslim community, the theory still told to this day is that the tsunami was really the result of a nuclear experiment by India that was supported by the US and Israel. At the time, several newspapers reported that India had purchased nuclear technology from the aforementioned countries and was experimenting with “destroying” or “exterminating” highly populated areas. The highest number of fatalities occurred in densely populated Muslim regions of Southeast Asia, which only served to strengthen the conspiracy theory. The Gulf of Mexico oil spill in 2010 infuriated millions around the world, especially those with a soft spot for nature who want to protect Earth at all costs. The disaster prompted a massive response from volunteers to help clean up and protect the surrounding areas and wildlife. The timing of the disaster, however, gave rise to multiple conspiracy theories. 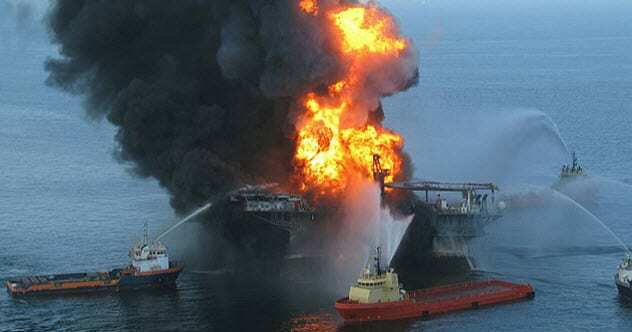 As the rig sank on Earth Day, many believe that so-called eco-terrorists or eco-warriors caused the explosion on the Deepwater Horizon to protest offshore drilling and the oil industry as a whole. US President Barack Obama’s order to deploy a SWAT team to the disaster scene confirmed this in the minds of conspiracy theorists because SWAT teams are usually present when terrorist attacks occur. Other theories include North Korea striking the oil rig with a torpedo, the Russian government sending a message, the US itself being responsible for the explosion, and God taking revenge on the US for turning its back on Israel at the United Nations. Two months after the terror and mayhem of 9/11, tragedy struck again. American Airlines Flight 587, an Airbus A300, crashed mere moments after takeoff from JFK Airport. 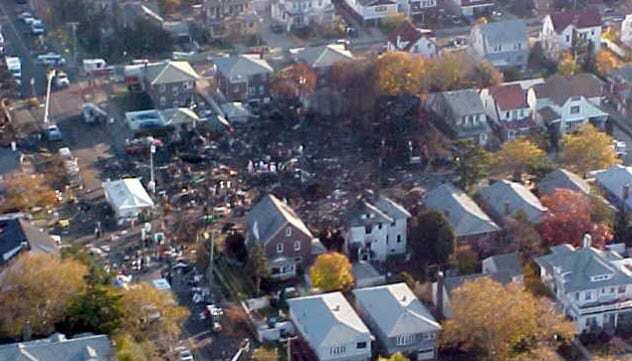 The plane went down in Belle Harbor, Queens, killing 265 people. The cause of the crash was established to have been wake turbulence from another plane. This led the first officer of the AA flight to overuse the rudder controls, which caused the vertical stabilizer to snap off. Both engines and the tail section fell off before impact. Only days after the accident, a conspiracy theory appeared on the Internet. Geoff Metcalf wrote an article about it on WND, affirming that he (and many others) believed that the crash was no accident. Instead, he believed that the plane had been sabotaged and asked an experienced pilot for his opinion. The pilot confirmed that he had never heard of a plane experiencing the loss of its tail section and both engines at the same time. In his article, Metcalf also mentioned that eyewitnesses saw fire at the plane’s fuselage before the tail section and engines broke loose. According to Metcalf, another veteran pilot dismissed the potential of another plane’s turbulence causing the problems with Flight 587, saying it was highly improbable. 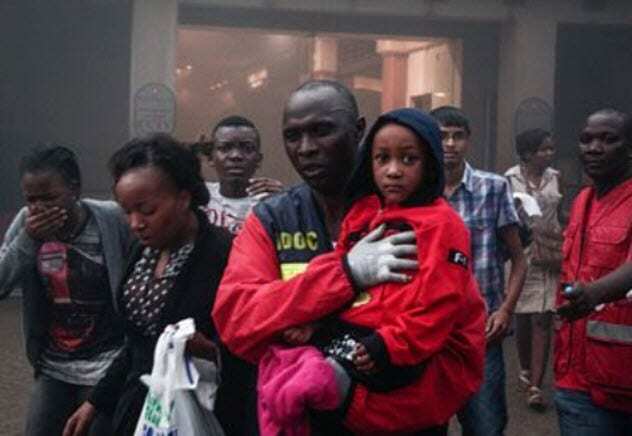 As with any terrorist attack, conspiracy theories ran amok in the aftermath of the Westgate mall attack in Kenya in 2013. Although the Kenyan government stated that all the attackers were killed, there are people who believe that some attackers escaped. Other theories say that there were never any hostages despite by media reports to the contrary. One of the worst theories is that the Kenyan military prolonged the siege in order to loot the abandoned shops. Then the Kenyan foreign minister fueled speculation that the “White Widow” Samantha Lewthwaite was one of the attackers. He mentioned that a British woman was involved and that this particular woman had engaged in terrorist acts before. Adding confusion to the theory were comments from the Kenyan interior minister that several of the militants (apparently all male) had dressed in female clothing as a disguise. Some who believe the theory about Lewthwaite also think that she may have been killed during the attack. Apparently, a couple of soldiers told Reuters that one of the dead militants was a white female. 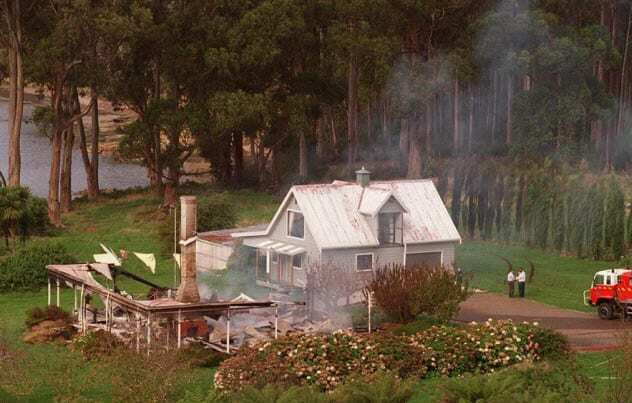 In April 1996, 28-year-old Martin Bryant traveled from his home in New Town, Hobart, to Port Arthur, Tasmania. Arriving at a guesthouse just before noon, he entered the premises and killed the owners. Then he moved on to the Port Arthur historic site, shooting people as he moved through the cafe, gift shops, and car park. Thirty-five people lost their lives. Almost overshadowing this horrific event were the claims that the entire massacre was fabricated. “Proof” was presented in the form of more claims that the senior Port Arthur staff members knew what was coming and went away for a seminar. It is alleged that the Royal Hobart Hospital had an emergency plan drafted two days before the shooting. A World Press Convention in Hobart ensured that many reporters were there to cover the story. Conspiracy theorists also believe that the attack was planned for the sole purpose of introducing gun laws in Tasmania. In early 2017, 21 years after the shooting, One Nation candidate Peter Rogers earned himself a lot of criticism by writing on his website that the Port Arthur incident was fabricated. 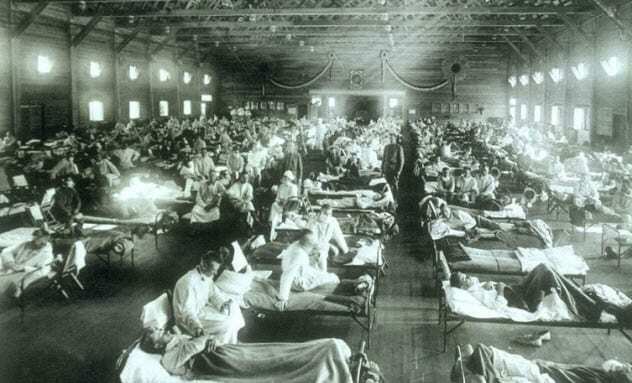 The flu pandemic of 1918 lasted two years and killed millions around the world, predominantly young adults in previously good health. The virus is said to have wiped out up to 5 percent of the world’s population at that point. However, if the conspiracy theories are to be believed, there was no flu virus. Instead, all those people were poisoned by injections of a combination of vaccines. Many believe that the soldiers at Fort Dix were injected with this vaccine “bomb” in 1918 but that they never had swine-related flu. This conspiracy theory also claims that the disease was seven times more rampant among vaccinated soldiers than among civilians who refused to be vaccinated. Stories of infantile paralysis striking down soldiers added strength to the theory as this type of paralysis is known to be a side effect of vaccine poisoning. The brute strength of Hurricane Katrina in 2005 breached the New Orleans levees in several places, causing flooding in over 70 percent of the metropolitan area. It is thought that the more severe breaches were caused by soil failure under the levees or by the levee structures themselves. However, residents of the destroyed Ninth Ward have a different theory. 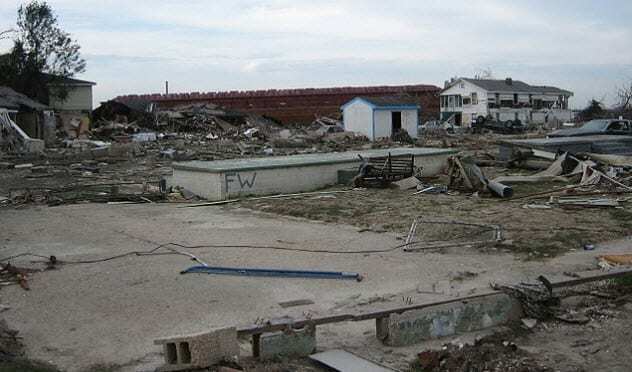 Some even testified before the House Select Committee on Hurricane Katrina that they firmly believed the levees were bombed for the purpose of ethnic cleansing and that it was an act of genocide. Louis Farrakhan, leader of the Nation of Islam, and director Spike Lee have also confirmed that they support this theory. Lee stated that he doesn’t find it far-fetched that there would be an attempt to remove black people from New Orleans. Naturally, it doesn’t help that levees actually were bombed in 1927 to preserve parts of the city, which caused black neighborhoods to be flooded. The High Frequency Active Auroral Research Program (HAARP) has been and continues to be the center of multiple conspiracy theories. It has been blamed for natural disasters, weather modification, and even mind control. Therefore, it is not surprising that the program has also been blamed for the Haiti earthquake in 2010. At the time, Venezuelan leader Hugo Chavez publicly stated his belief that HAARP or a similar program was used as a tectonic weapon to “create” the earthquake. The media in Venezuela had a field day with the story. 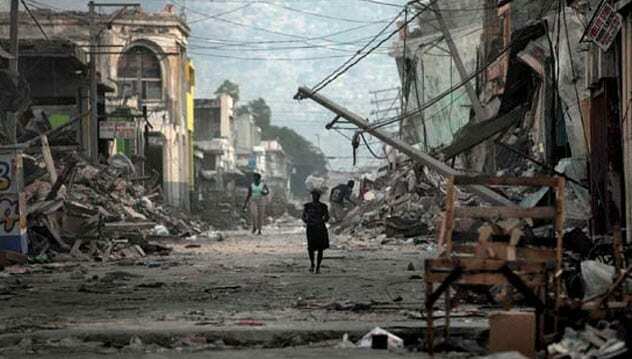 They reported that HAARP could produce violent changes in climate and could be associated with what happened in Haiti. Some conspiracy theorists also firmly believe that the US was conducting tests to control the weather. Supposedly, these tests went terribly wrong as the earthquake was meant to hit Iran, not Haiti.